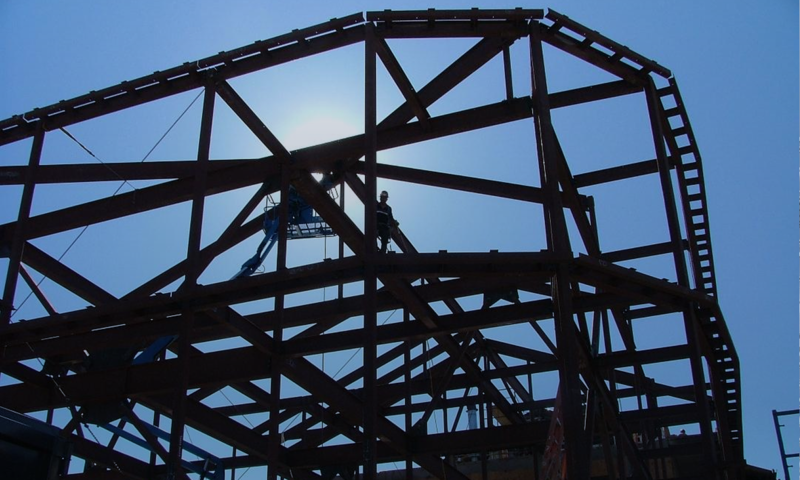 Schools Post – Kern Steel Fabrication, Inc.
Kern Steel fabricated and erected the 12 different buildings at this High School. 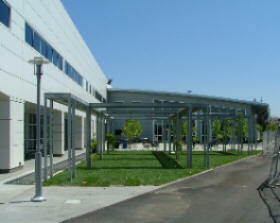 Each building was designed to the subject discipline to be taught. 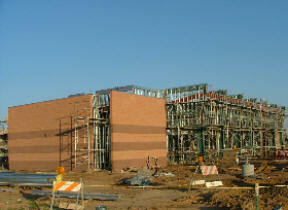 Frontier High School is designed to house 2,200 students. 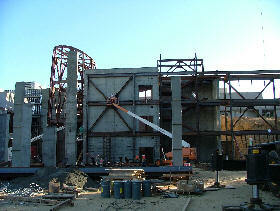 In the construction of this High School both steel as well as wood were used. 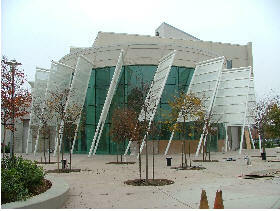 This complex two-story building had a sloping radius center glass atrium fabricated from round tube frames. 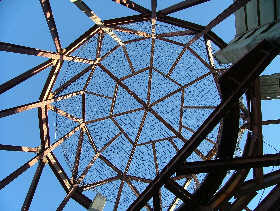 The building was built into a hill, providing areas of the building to be below ground level. The building also contains stairs, hundreds of linear feet of multi line stainless steel cable railing and ornamental fencing. This portion of the project consisted of three buildings, a double Gymnasium, Locker Room and Concession Stand. 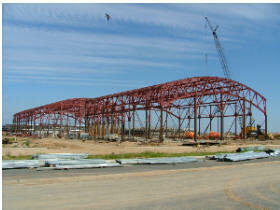 The Gymnasiums rolled roofs are made up of six 135’-0 three cord pipe trusses, five 105’-0 three cord pipe trusses and four rolled wide flange trusses. 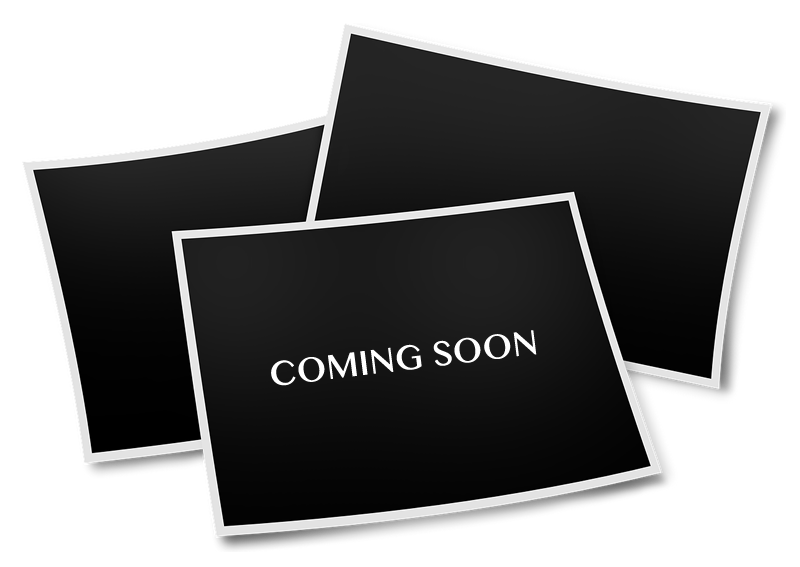 Contractor: Harris Construction Company Inc. 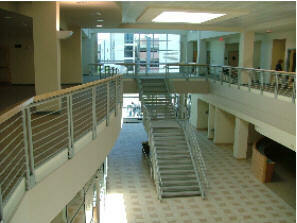 This is a large Comprehensive High School designed to house 2,500 students. 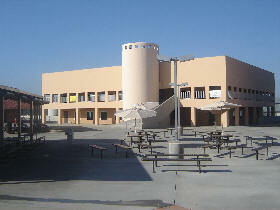 The High School consists of five buildings, each with a unique design that relates to the subject discipline that will be taught. 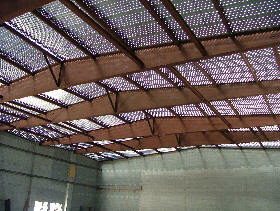 Various types of construction were used for this school from all steel, steel and wood, steel and masonry and also concrete and steel. This project was not only a challenge because of the curved exterior walls, but also because of the multiple layers of sunscreens and canopies, each with a unique shape. 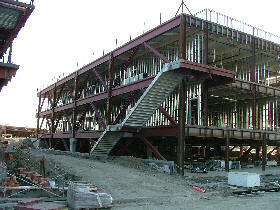 The fabrication of this three-story facility consisted of heavy structural steel, stairs, radius guardrails, sunshade, canopies and other small miscellaneous steel fabrications. 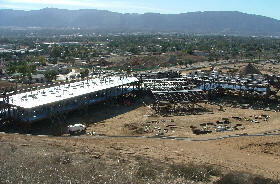 Kern Steel helped transform the oldest community college in California into one of the newest. 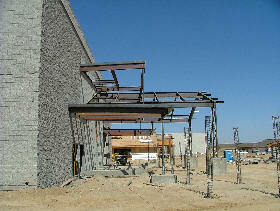 We fabricated the structural steel for this two-story, Student Services & Career Center. 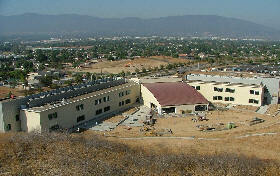 Work included new building construction, site utilities, paving, landscape development, and other site improvements. 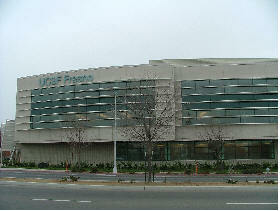 The 70,000 square foot building houses the campus bookstore, an enclosed loading dock, 20,000 square feet of administration and counseling office space, an 8,000 square foot commercial kitchen, indoor and outdoor dining, campus security dispatch, media and conference rooms, a cyber café, and the campus radio station and broadcast room.